Hello and thank you for all the lovely comments on my holiday post. It was a much needed break for Mum and it really boosted me too, which I wasn't expecting. In other news my new laptop and I are beginning to bond thanks to a little help (and a lot of patience) from my sixteen year old son. We're having a tempestuous honeymoon my new gadget and I. It's lovely but too precocious by far and easily makes me petulant - not good for someone seeking simplicity. Some weekend, soon, Friday links will be on time. We've been trying to get out as much as possible for walks and picnics. 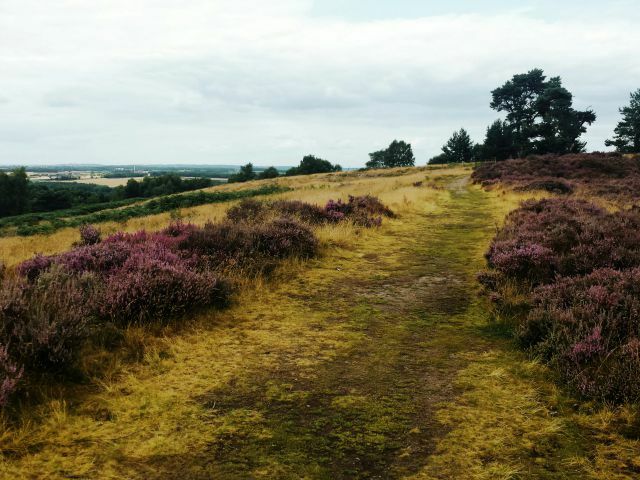 The photo above was taken last weekend at Brocton, on the edge of Cannock Chase. The heather was beautiful and we picked enough blackberries to add to our porridge for a week. Today we've been to Leamington Spa not for the shops (although there's a great selection including independent shops and charity shops) but for a riverside walk and to spend time in Jephson Gardens. 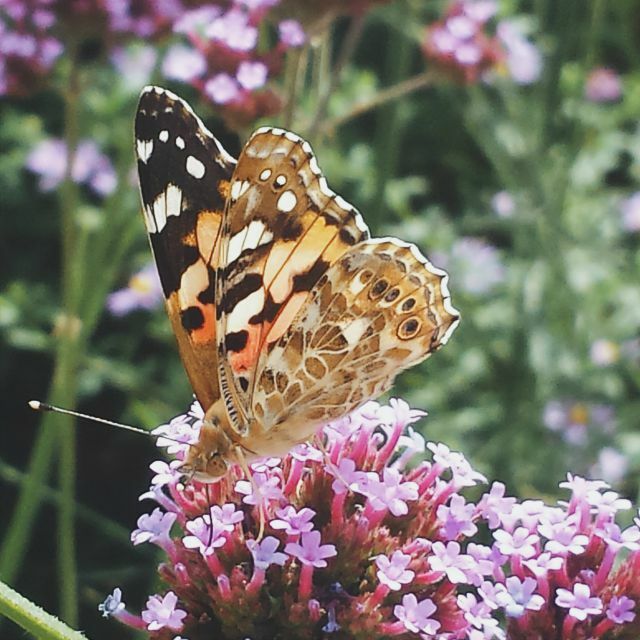 I studied a painted lady butterfly there for over ten minutes. My patience was rewarded. Moments like this are worth more than things. Onto this week's links. I hope they're of use. Why We Procrastinate And How Mindfulness can Help by London Mindful blog/The Mindfulness Project. I was interested to read that procrastination is a learned behaviour and mindfulness can help us to accept our fear of failure. I think this one will be useful. A blog I may not have celebrated here before is Zero Waste Home. Bea Johnson and her family are an inspiration. Find out more by reading From a blog to a movement! Cait Flanders on simple money and mindful budgeting. I don't usually recommend long podcasts but I think this one from Brooke McAlary of Slow Your Home is worth it (approx 45 minutes). I've been reading Blonde on a Budget for the last few months and to hear insights into Cait's shopping ban (now in its second year) was really interesting. Some bloggers can make minimalism sound easy and often miss out the details of how hard it is to break shopping habits and say no to pricey social occasions. Cait talks openly about how she changed her attitude to spending in this podcast. She doesn't possess financial superpowers just tons of experience. You Don't Need To Instagram Your Washing Up by Me & Orla. Over the summer I've been considering my online habits. I'm glad I never got into Facebook - read Michelle from London Minimalists thoughts on this here - but I do indulge in Instagram faffing. I like the creativity it inspires, the community feel, the way it's improved my skills with a phone camera but not the false reality such high standards of styling and photography inevitably lead to. Sara has opened an interesting discussion about this. She is the bees knees of Instagram and I've learnt a lot from her. Finally I recommend the last three posts on Zen Habits. Leo Babauta's recent posts have been great, varied and practical. Topics include simple health, his mom and time management. You're welcome Sara. I hope you don't find my feed too contrived!